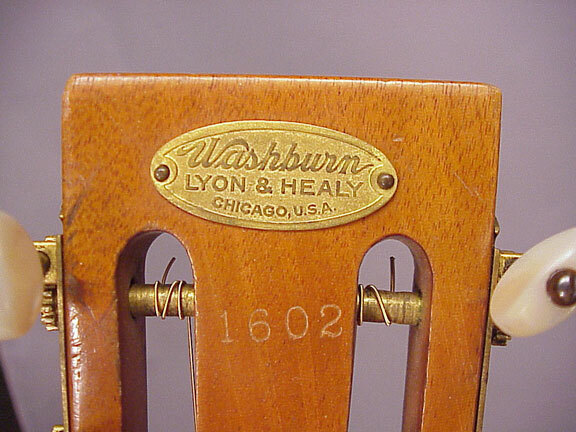 Washburn was the name used by Lyon & Healy on literally thousands of guitars. 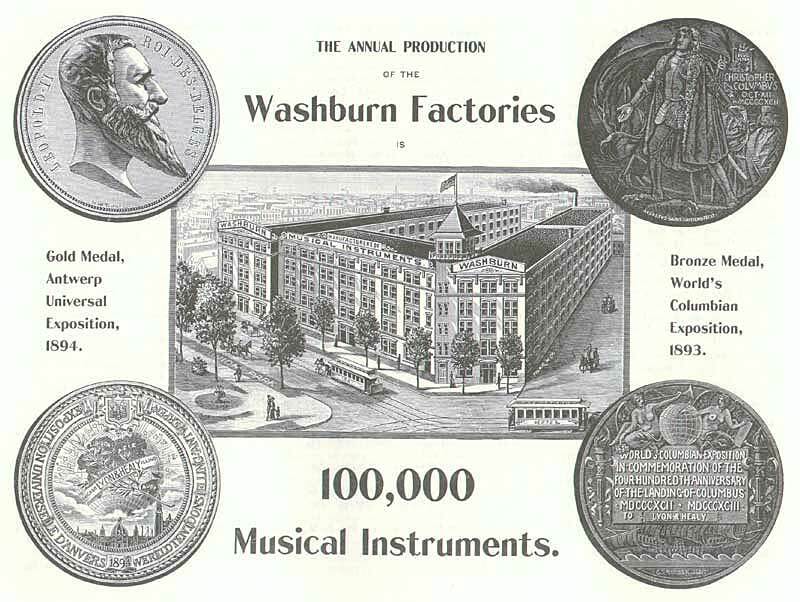 It was the middle name of George Washburn Lyon, one of the founding partners. 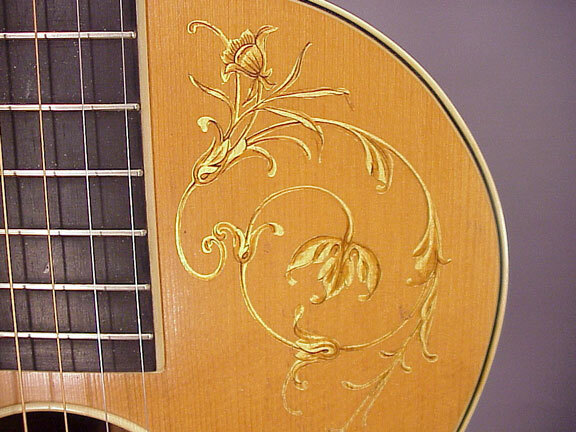 This concert size rosewood guitar has the gold leaf decoration usually associated with the Lyon & Healy harps. 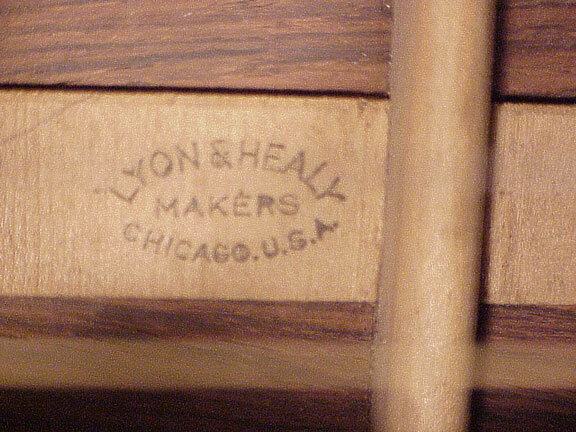 Because it was of "top of the line" construction, the instrument is branded with the Lyon & Healy trademark, as well as Washburn. 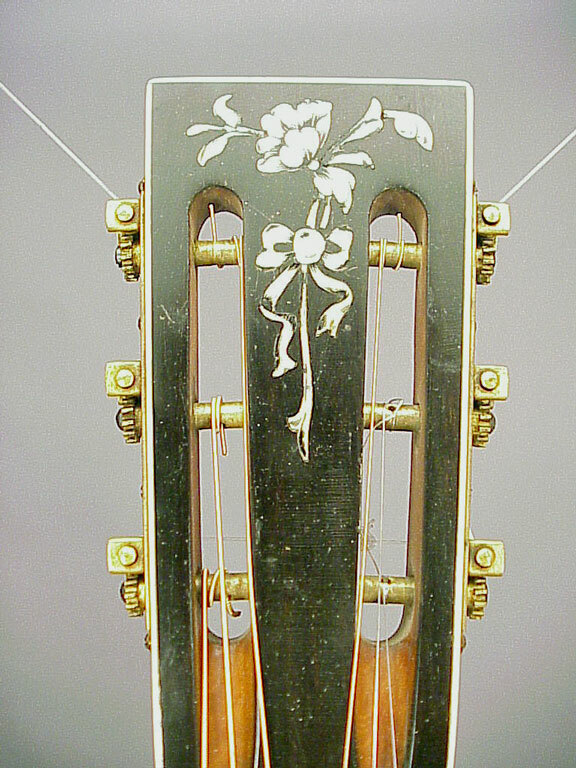 The top is braced in a modified Martin style cross-brace pattern. 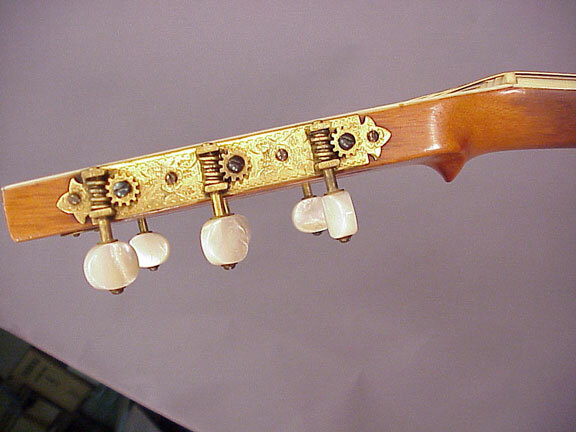 Tuners are Waverly's finest gold plated engraved plates with genuine mother of pearl buttons. 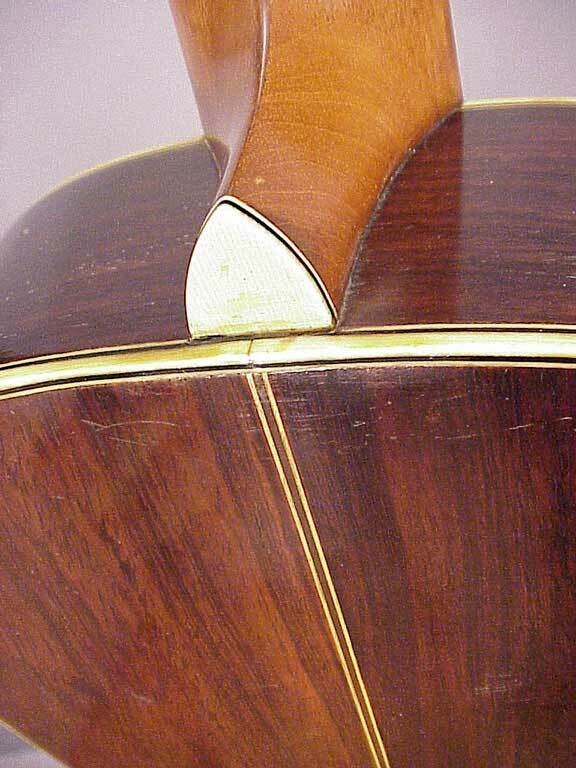 The sides of this guitar are laminated for strength and rigidity, not for cost. You never see one of these with a crack in the side. 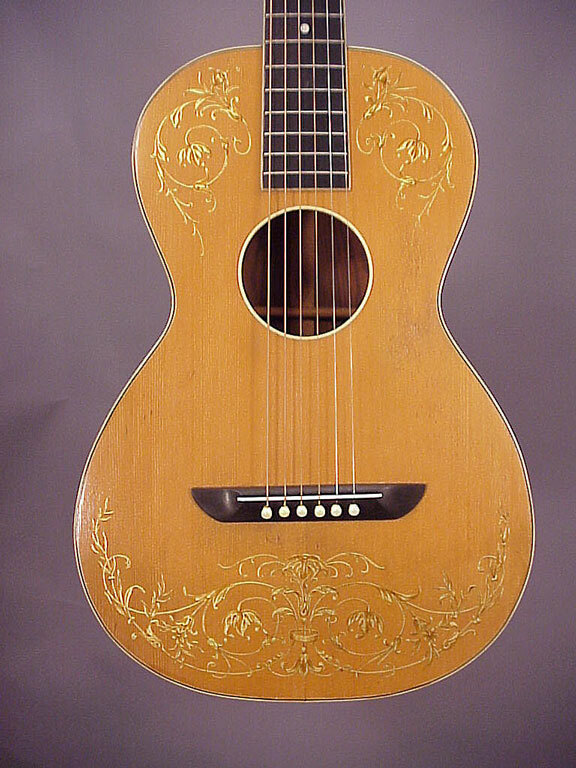 Unlike most Washburn instruments, this one is on a par with Martin, both in workmanship and tone. Check out the detail of the carved "hand stop" on the base of the peghead.